The increasing popularity of vaping has created growing concerns about whether or not it’s safer than smoking tobacco products. Extensive research is now being done to answer those concerns. So far the results have been yes, vaping is safer than smoking tobacco cigarettes. The Royal College of Physicians (RCP) just compiled a report from their research, “Nicotine without Smoke: Tobacco Harm Reduction.” In the 200 page compilation the RCP explains the overall health risks that may be created by e-cigarettes are much less of a concern than those in connection with tobacco cigarettes. The RCP further explains, “Some harm from sustained exposure to low levels of toxins over many years may yet emerge, but the magnitude of these risk relative to those of sustained tobacco smoking is likely to be small.” The study determined that smoking vapor products had approximately less than 5% health risks in comparison to tobacco cigarettes. Also in the report RCP states e-cigarettes have become a practical means for tobacco smokers to quit smoking or to at least lessen their use of tobacco products. As stated in the study vaping is now being more commonly utilized for smoking cessation than any marketed Nicotine Replacement Therapies (NRT). The health risks associated with tobacco cigarettes are commonly known due to wide-ranging research and media campaigns produced by the healthcare profession. Nicotine in tobacco cigarettes is addictive. Tobacco and the many other chemicals in cigarettes are toxic. WebMD reiterates these chemicals can cause life-threatening disorders including COPD, vascular disease, lung cancer, upper airway and esophageal cancer. 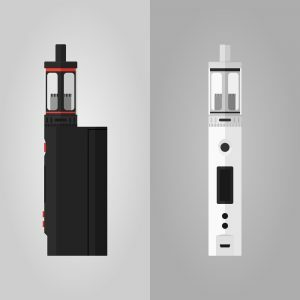 The e-liquids in vaping devices are comprised of only a few ingredients, in comparison to tobacco cigarettes that contain possibly hundreds of toxic components. 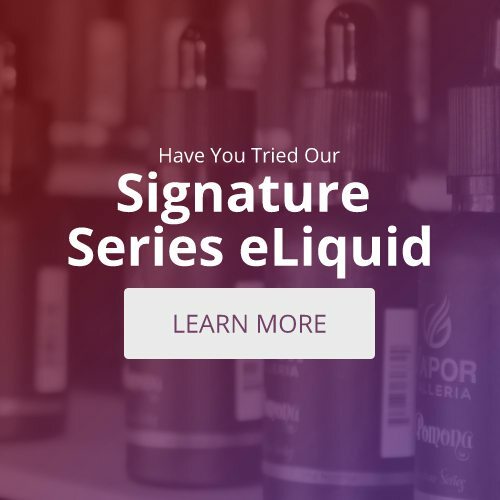 The three main ingredients in e-liquids are vegetable glycerin, propylene glycol and flavorings. All three have been used safely in foods and household products for many years. Propylene Glycol (PG) is found in food colorings, cosmetics, medications, and in processed foods. Vegetable glycerin (VG) is a compound derived from plant oils such as coconut, palm, and soy. It’s often used in toothpastes, lotions, and shampoos. The E-liquids used in vaping are tobacco-free, although some do contain nicotine. Some e-liquids can be found that are nicotine-free. The amounts of nicotine in the e-liquids vary, but the average is between 6mg to 24mg. The vaper can choose the level of nicotine he needs in his smoke. For the smoker trying to quit, being able change his nicotine level as needed is an advantage. Vaping creates no second-hand smoke risks. The “smoke” is actually vapor made by the e-liquid being heated. The smoke in tobacco cigarettes contain not only tobacco, but other hazardous chemicals that are noxious to bystanders. The vapor from vaping is tobacco-free and has no apparent second-hand “smoke” hazards associated with it. To learn more about the safety of vaping come visit our Tyler vape shop. Our experienced staff will answer any questions you may have regarding vaping. They can also assist you in finding the best vaping products to fit all your personal needs.